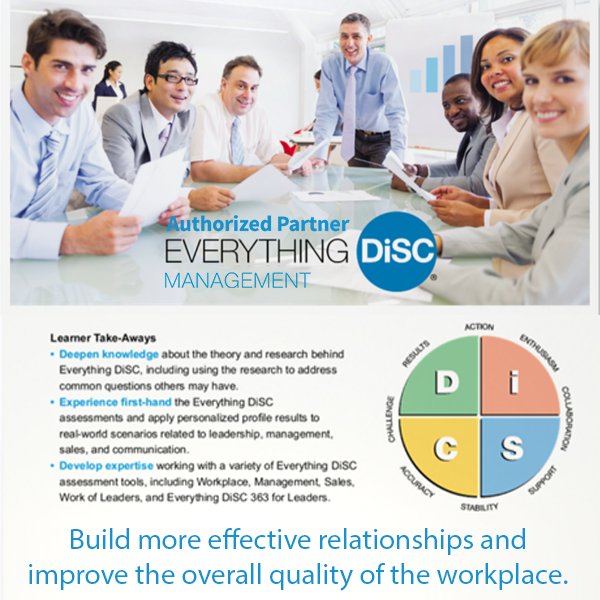 Everything DiSC Management® is the most in-depth and easily customizable DiSC-based management-training solution available. Management-specific personalized content creates an in-depth learning experience that will teach you how to read the styles of the people you manage—and then bring out their best by adapting your style to manage more effectively. Working with Your Manager Participants learn about their strengths and challenges as managers and how to adapt to meet the needs of the people they manage—making them more effective managers.